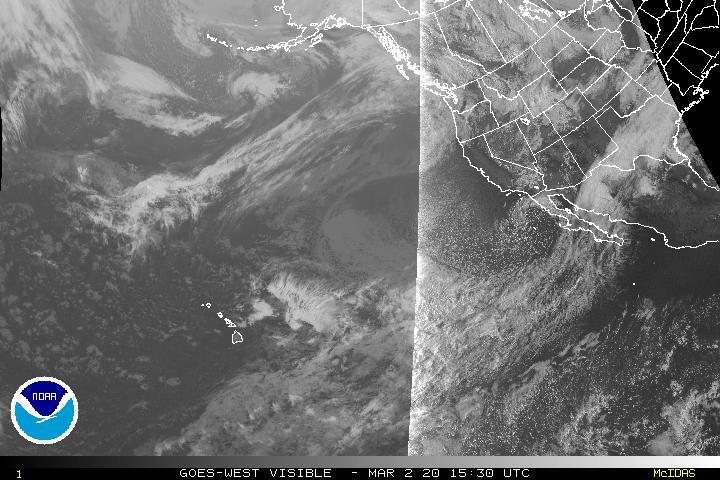 The above satellite photo's come to you directly from the National Weather Service (NOAA). On occasion it can take a little bit for a satellite photo to come up on the noaa site, with a little patience your selection should come up. Use the drop down menu to select all satellite sectors of the United States, including Alaska, Hawaii, Puerto Rico & the Caribbean. These photo's cover all sectors of the Atlantic and Pacific Oceans in the Northern Hemisphere This is a great tool for tracking storms. For instance, the ability to track storms starting in the Western Pacific Ocean as it moves toward the Eastern Pacific and the U.S. West Coast, or the weather systems that comes off the West Coast of Africa before they turn into tropical storms or hurricanes heading towards the U.S. East Coast. They are divided up into two main sectors, the U.S. Western Region including the Pacific Ocean, and the U.S. Eastern Region and the middle U.S. sectors, including the Atlantic Ocean. Each satellite sector has two photo's, the "Visual and Shortwave (IR2)" versions, except for the North East Pacific, it has three photo versions, the Visual, the Shortwave (IR2), and Water Vapor. I like this satellite format by NOAA (National Oceanic & Atmospheric Administration) because everything is located in one easy to use drop down menu.